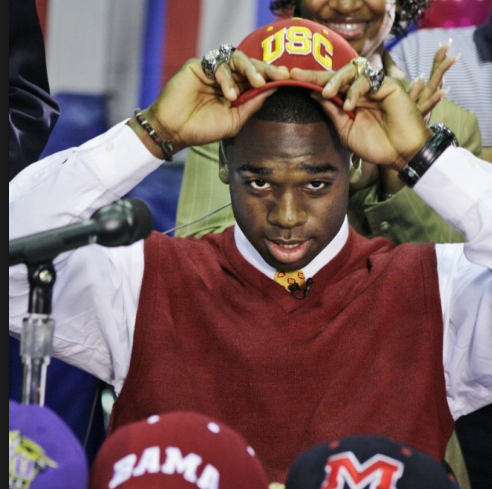 Home / Posts Tagged "parents and recruiting"
I wanted to write this because i have found it interesting since starting NUC Sports in 2005 how the miseducation of the recruiting process and the lack of realistic expectations of parents have changed the landscape in how everyone handles recruiting. 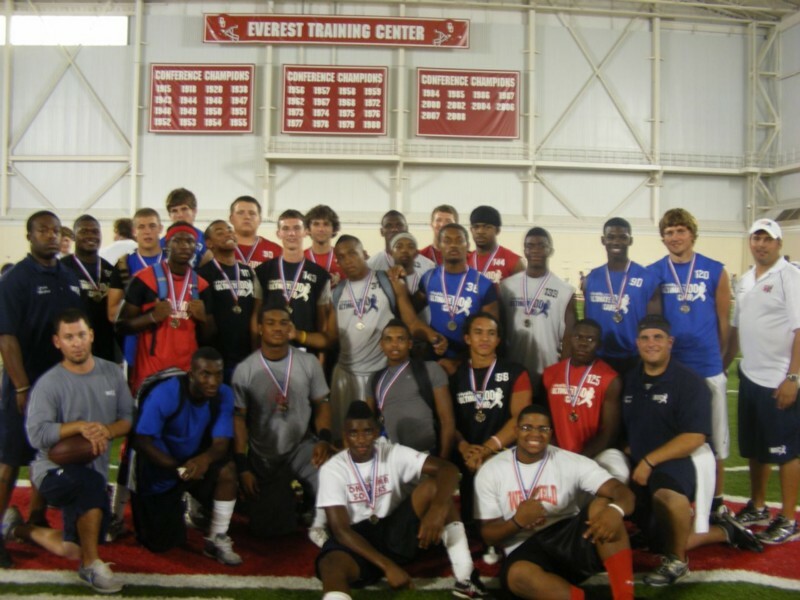 In 2005 when we started NUC sports which was originally National Underclassmen Combine, with one event in New Jersey, the idea was to give underclassmen the opportunity to test and get their information into college coaches hands. At that time only us and Nike was really doing it and when the information got to the colleges. They weren’t bombarded by so much other nonsense that they were able to read it. Parents at that time were looking for way to get their son an opportunity and most were willing to learn as to what they had to do get that opportunity. Athletes like Tyrod Taylor, Joe Haden, Chazz Cervino, Carlo Calabrese and many other participated in that camp and thrived. As we expanded and grew we were lucky in that only a few competitors grew with us and as we became successful, we partnered with groups like NCSA and Rivals and others that also created that opportunity. Through 2012, I saw not just event growth but also parents learning about the process. Yes, some were unrealistic but most were eager to learn. Then something radically changed in 2012 into 2013 that changed that understanding forever. As we continued to grow in 2014, 7v7 was taking off, we ran 7v7 events, heck I even had my own club, but i saw something that wasn’t true about 7v7 that bothered me. 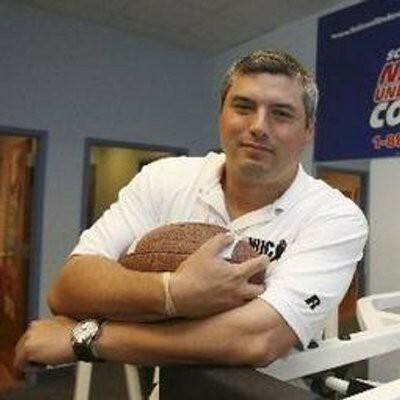 I have been a football coach since 2001 and 7v7 was always a part of our high school summer and big part of improving and even getting noticed when we went onto college campuses, but….. 7v7 in the club event standpoint took off and there are ZERO college coaches at these events and there are ZERO evaluations being done. Ok, i get it they claim to video some of them and maybe a few do, but I have never seen a camera on my team and I have been going for years, soooooo….. This creates parents THINKING there son is getting looked at and nothing is happening. They go to FREE camps with THOUSANDS of athletes and only the known athletes get looked at. THIS IS A PROBLEM! I think camps, combines and 7v7 are great to develop the athlete and help them learn to compete. 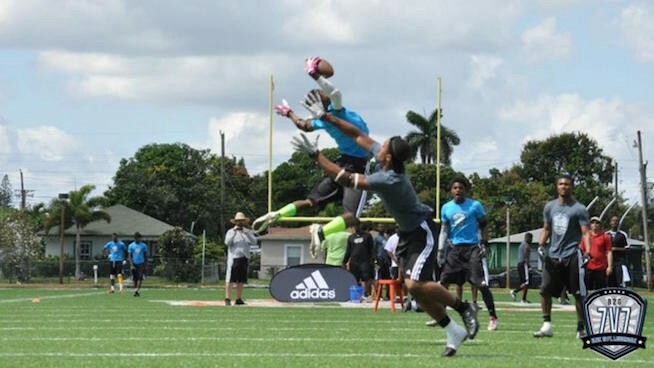 It’s not the 7v7’s that are the problem but the messaging from it. The problem is the parents THINK they are gonna get looked at from that! Absolutely not! A good friend of mine has a so that is a 20 offer athlete and he would always ask me, when will he get stars, what does he have to do to get stars and I would tell him….ONCE HE HAS OFFERS, HE WILL HAVE STARS. Rivals, 247 sports and others are great sites, but they are REPORTING THE NEWS, not creating news. When an athletes gets offered then they really get interested. Parents think it is the other way around, it is not. Recruiting services that over promise that an athlete will get recruited event though the colleges just hit delete or block their server. You must have someone physically reaching out for the athlete and not from a server. The understanding of what it takes to get recruited in todays era of social media creates more misunderstanding than ever. Athletes see other athletes on twitter getting offers and thinks that should be them. 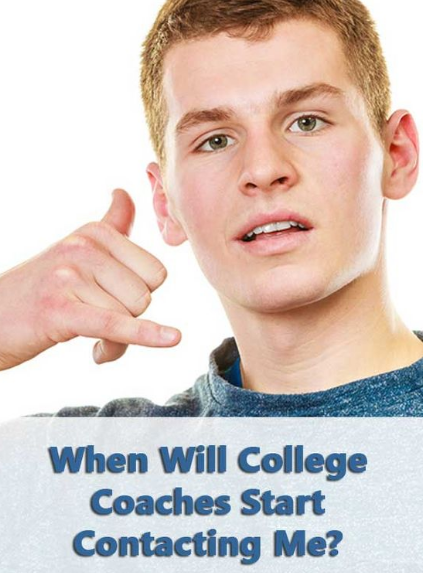 The number of athletes competing to get recruited is higher than ever but the number of SCHOLARSHIP AVAILABLE are the same or even less than in the past. This is important to understand in all of FBS there is 85 scholarships available per team. There are 128 Teams in FBS and 124 Teams in FCS. FCS has 63 scholarships available per team and more than 1/3 of those teams dont offer the full amount. So what does that mean?? that means that since there are 1,085,772 football players in high school in 14,000 high schools and there are only 2720 FBS schools, the likelihood of going to FBS is is almost exactly 1% and the likelihood of going FCS or FBS is somewhere between 1.5% and 1.7% on a scholarship depending on the number of FCS schools offering full scholarships. 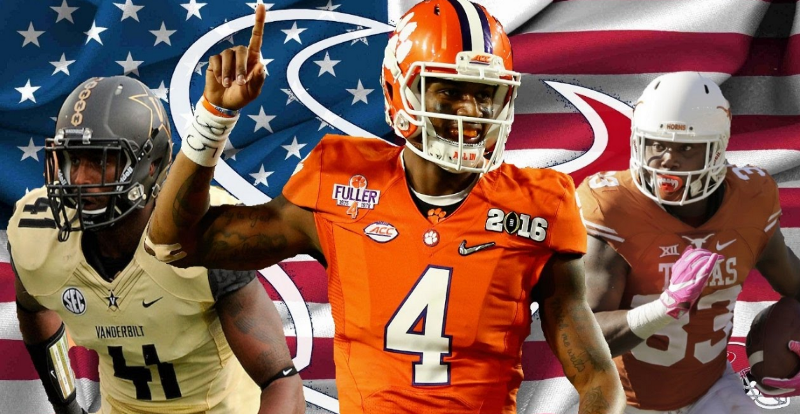 In each grade in high school there is approximately 271,443 football players…..So what does this all mean. This equals a problem, on social media athletes think bombarding the college head coach with links is the answer and parents think that their high school coach is to blame or they went to the wrong event or even worse, THE CAMP HAD THEIR FAVORITES. This is all nonsense, when the best player is out there people notice him. When colleges and evaluators are looking at athletes, they are looking for SUPERIOR SKILLS, POTENTIAL, UPSIDE, HEIGHT, SPEED, FREAK ATHLETICISM. I am forever inundated with parents claiming there son had a great day or he caught every ball or he worked the hardest, when the truth is in order for your son to get out there he must truly be the BEST! College coaches want to win, high school coaches want to win and recruiting evaluators want to find the best. Everyone gets success from that, so there is no such thing as favoritism, there is GOOD and NOT AS GOOD or EXCEPTIONAL and NOT EXCEPTIONAL. Everyone that has a camp is doing it for a reason, FREE IS NEVER FREE. Nike does it for their brand to sell more gear and shoes, Under Armour the same, Rivals.com to sell more memberships and get more athletes names to sell memberships to, FBU charges literally for the training, NUC we charge for the competition and the stats so colleges get them FREE, and others have there reasons, but know one thing. If Under Armour doesn’t have their camp for FREE then then don’t sell more shoes, and if Rivals doesn’t get your info they cant sell you a membership, so on and so on, so make sure you go for the reasons that can help you in your process, not just for the gear. Free gear is nice but at the end the day you become a lead to sell the shoes down the road for $150.00 and the Christmas T-shirt for $40.00, so utilize the process to help you succeed in getting better. The parents that tell other parents to go to event because their son is going is foolish and the parent who knows the athletes final objective is the genius. So many parents have no idea what they are doing, don’t do any research and expect radical results without investing in the process. How can your son get his name out there by going to only one event and then giving up. How can your son go to one college camp and think he will get recruited. This is not magic, this is a process. You and your son must be diligent and forward moving all the time. You cant get caught up in disappointment and ego, but focus on what is the future and next steps to create that opportunity. First off athletes should be going to camps, combines, 7v7 and such to not just get evaluated but to get better, know where they stand and find out where they have to go. The athletes that take that approach always get better and the parents that understand that do not lose their mind, when their son doesn’t get award or even paid attention to. Just go out and compete, if know one talks to you, then that tells you something!! YOU MUST GET BETTER!! If you don’t get recognized then you MUST GET BETTER!! The faster that athletes understand that and the faster that parents do the better off their son is. I love to tell this anecdotal story. I was 6’1, 218 pounds in high school and was the State Small School Indoor High Hurdle Champ, I ran 14.4 in the high hurdles, ran an 11.0 100 meters, and ran 54.7 in the 400 IH and a 21 foot long jumper. As football player I had excellent statistics and was a RB and Safety in high school. I could catch, run, block, heck even throw, play defense and was fast as hell and I went on scholarship to UCONN which was D1aa or FCS not FBS. Next time your athlete believe he is D1, find out does he have the SPEED and SIZE to match, their is the rare Ryan Switzer (who was an NUC alum as well) who was undersized, but they always are beyond exceptionally quick or fast when they are undersized. So…. Keep improving, keep getting better, keep reaching out to schools and get real feedback to the level you may belong at and take advantage of the opportunity to get better. Parents, let your son compete, let him get better, and don’t worry about the nonsense of what someone has verse what you have but find out what can be done to get your son better, find out where he can play in college and for goodness sake, just go out and compete, get better, train and repeat that cycle over and over again, and you will get where you want to go!